With 20 titles submitted for Academy consideration, the threshold of 16 or more should be met to qualify 5 nominees in the Oscar race for best animated feature. The 20 films are: Big Hero 6, The Book of Life, The Boxtrolls, Cheatin, Giovanni’s Island, Henry and Me, The Hero of Color City, How to Train Your Dragon 2, Jack and the Cuckoo-Clock Heart, Legends of Oz: Dorothy’s Return, The Lego Movie, Minuscule – Valley of the Lost Ants, Mr. Peabody and Sherman, Penguins of Madagascar, The Pirate Fairy, Planes: Fire and Rescue, Rio 2, Rocks in My Pockets, Song of the Sea, and The Tale of the Princess Kaguya. This year’s biggest box office leaders so far are Warner Bros.’ The Lego Movie ($257,760,692, $468,060,692 globally), DreamWorks’ How to Train Your Dragon 2 ($176,714,099, $615, 098, 054 globally), and Blue Sky’s Rio 2 ($131,538,435, $498,681,682 globally). 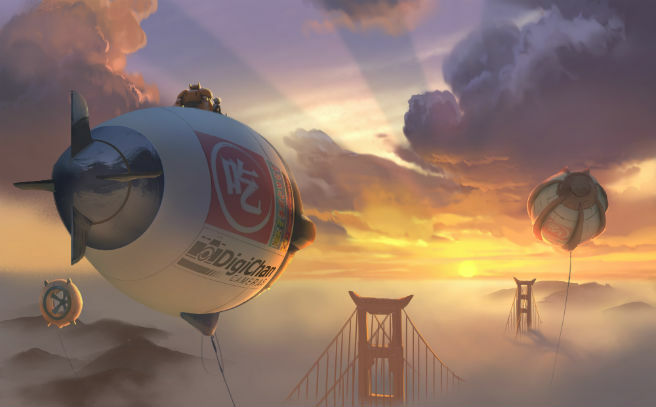 Disney’s Big Hero 6 opens this weekend. The major contenders are Big Hero 6, How to Train Your Dragon 2, The Lego Movie, The Boxtrolls, Song of the Sea, and The Tale of the Princess Kaguya. The 87th Academy Awards nominations will be announced live on Thursday, Jan. 15, 2015, at 5:30 a.m. PT in the Academy’s Samuel Goldwyn Theater. The Oscars will be held on Sunday, Feb. 22, 2015, at the Dolby Theatre at Hollywood & Highland Center in Hollywood, and will be televised live by ABC.